1)High Quality Flexible pipe, automobile exhaust system component. 2)Installed between engine and muffler. 3)Used to decrease engine noise and vibration. 4)Absorbs muffler pipe thermal expansion. 5)Compensates for exhaust converter misalignment. 7)Made of stainless steel 304. 8)Aluminized steel for collars on both ends is also available. 9)Lined with inside interlock or nothing inside. Looking for ideal Stainless Steel Bellow Manufacturer & supplier ? We have a wide selection at great prices to help you get creative. All the SS201 Stainless Steel Bellows are quality guaranteed. 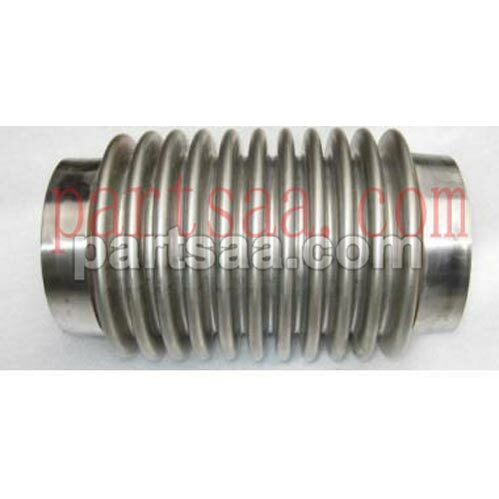 We are China Origin Factory of SS 304 Stainless Steel Bellows. If you have any question, please feel free to contact us.